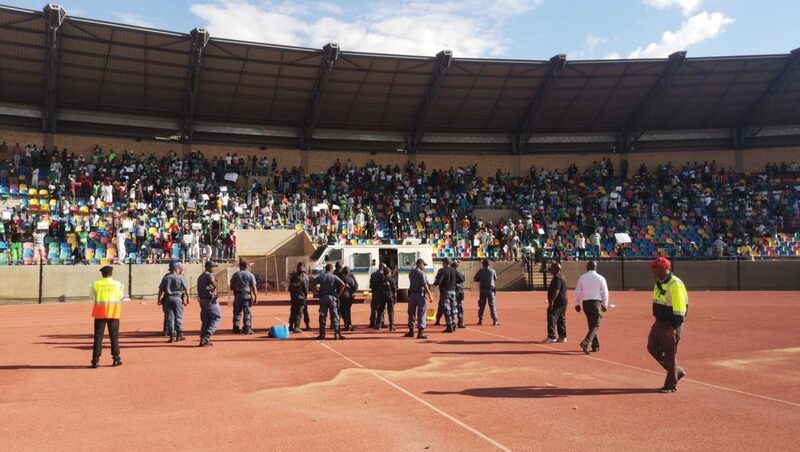 The Absa Premiership clash between Bloemfontein Celtic and Cape Town City has been abandoned after security concerns at the Dr Molemela Stadium on Sunday afternoon. The match was halted at 0-0 after a pitch invasion by a Celtic supporter in the 23rd minute. Players and coaching staff were rushed to the dressing rooms for safety after police clashed with the supporters before the match was officially called off. Celtic went on to confirm that all supporters have been removed from the stadium. ‘With assistance from members of Public Order Policing, supporters have left the stadium after the continued disruptions,’ the club tweeted. Meanwhile, the Citizens later confirmed that the encounter was officially called due to security reasons at the stadium.